Want your eyes to look their best no matter your age? There are a variety of eyeliners out there that can help, but none are better than waterproof and smudge-proof for older eyes. Since eyelids can become wrinkled and have extra skin over time, it’s imperative that eyeliners have staying power throughout the day and won’t rub off. This list of eyeliners compromises different styles and applications, but all of them are highly rated for older eyes. When it comes to eyeliners for older eyes, you want a high-quality, deep color that will last all day. These waterproof and smudge-proof designs make it so that you can trust your eyeliner to stay put. However, some vary in their application and type of material. Whether you like gel, liquid, or powder liners, we have found the best for your eyes. 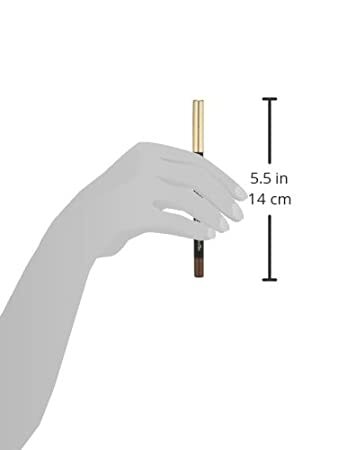 Kevyn Aucoin is a highly recommended eyeliner because of the quality and design of the eyeliner felt-top applicator. You can get precision liner in deepest black without any kind of smudging or skipping. The applicator is thin, allowing you to create thin lines or build up on your wing-tip as you paint the lid. It was effortless to get a pitch-black line across the full lid, and the eyeliner managed to stay smudge-proof throughout the day. While liquid liners may often come off like a sticker, this one remained water-resistant and maintained its pitch black color for multiple hours. It easily came off with makeup remover. If you are looking for precision eyeliners that can draw dramatic lines, then this is the perfect liner for your eyes. With the added touch of water resistance, this liner really does stay put all day and doesn’t come off until you want it to. It’s effortless to style your eyes, even if you have wrinkles or deep-set eyes as well. For those who like smokey liners with a bit of precision line, you can draw the perfect eye with the Jane Iredale Mystikol Powder-to-Cream eyeliner. It’s a great liner that stays on all day despite heat and friction. One secret to this powerful eyeliner is the coco glycerides used in the formula that provide a smooth and even line across the lid. The great thing about this eyeliner is that it’s designed not to pull on your eyes. The soft texture will allow you to easily apply makeup, and it contains shea butter to help moisturize your skin. In addition, the liner is water resistant. It doesn’t smudge as you put it on or throughout the day. It comes with an easy-to-use thin brush that helps you build a beautiful smokey line or precision liner without much fuss. With both shadow and liner possibilities, Jane Iredale’s Mystikol eyeliner is a home run for anyone who wants to create day to night looks with soft or deep black looks. This liner comes in a variety of shades as well. Jane Iredale’s Mystkol Powdered Eyeliner is not the traditional eyeliner that will create the most precision line if you are looking for wing-tips and cat eyes. However, it is perfect for a smudge-proof smokey eye and a great liner if you like the powder look over liquid and gel. For those who line precision and smokey eyes, the Highliner Eyeliner by Marc Jacobs is a great choice. It comes in multiple colors, and it also includes a sharpener so you can get a great wing-tip. Like others on this list, it is water-resistant, but not entirely smudge proof. The black liner tended to fade after a couple hours, and for the price and size of the liner, it was a bit of a disappointment. However, the eyeliner is cruelty-free, paraben-free, and sulfate-free. It does stay on well enough that it won’t create any itchy reactions either. The gel formula allows you to create lines that really pop and define the eye. Application is smooth, and coverage is perfect. You can easily great amazing cat-eye looks, and so long as you use a primer, it won’t smudge as much. However, unlike the felt tip liquid liners, the crayon seems to have trouble staying put throughout the day. You will probably have to update your liner throughout the door, and while it has a deep rich color, it will smudge into your lid due to oil in your skin. For the price, you can purchase something that will stay longer. If you love the simplicity of a pencil liner but want the staying power of liquid, then Xtreme’s Lashes Glideliner is the best option. You can emphasize your eyes easily with a color-rich gel pencil that also lasts all day. For multiple hours, this liner stayed put and didn’t smudge or bleed into lid lines. The Vitamin-E formula really helps to give smooth lines, even if you have wrinkles and crow’s feet. It’s easy-to-apply and not expensive at all for the amount and application. There are multiple shades to choose from, including purple, amethyst, emerald, black, brown, and more. Overall, if you are looking for a quick eyeliner pencil that has dark, rich colors and smooth application, then the Xtreme Glideliner offers everything and more. It’s water-resistant as well as smudge-proof, and it managed to stay on all day despite sweat and friction with wrinkles and oily skin. One of the most popular liquid eyeliners on the market is the La Roche-Posay Respectissime Liquid Eyeliner. With .04 fluid ounces and a natural wax formula, this eyeliner truly does stay put throughout the day no matter what kind of eyes you have. 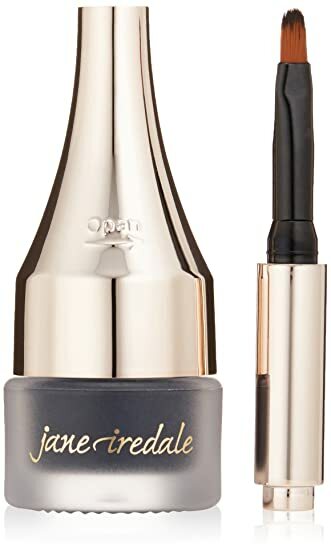 In addition, the formula has been tested on sensitive eyes, so if you are constantly rubbing and itching your eyes, you won’t have to with this wax liquid eyeliner. La Roche-Posay made this eyeliner so that it would last throughout the day, and it truly does stick to your eyelids. You’ll have to use makeup remover to get it off. In addition, the application is precise and easy-to-use, so you can get well-defined wing tips and cat eyes with ease. Using wax in the formula is a great choice because of its staying power. You don’t have to worry if you have oilier skin or wrinkles that cause friction, this eyeliner will stay put on your lid. You can create dramatic looks in seconds. None–This eyeliner is heaven in a bottle! It’s rare to find an eyeliner that has it all, but La Roche-Posay truly has found the right formula for a stay-all-day liner that doesn’t smudge and provides great color as well. With the precision tip, it’s easy to create dramatic cat eyes or precision wing tips. While you won’t be able to create smokey eye looks with this, you can easily layer on liner to create thicker lines for night-time looks. There are some things that women with have to worry about as they age with eyeliners. For one, creases and wrinkles can cause most eyeliners to smudge and leak, which ruins the look of your eyes and causes irritation. Eyeliners can be trial and error depending on your skin texture, tone, and age. There are a few factors that will change as your eyes age. For one, you may have sensitive skin or need a formula that won’t irritate contact lenses. If you have oily lids or lid folds, then you want a long-lasting formula that isn’t going to smudge or contain any oil itself. In fact, oily lids will work better with pencils and powders, rather than gels. However, if you have dry skin, then gels and liquid liners will work perfectly for your eyes. Ultimately, eyeliners that are waterproof and don’t smudge typically are not made from crayon or gel. While these may provide rich color, they tend to smudge on oily skin and don’t stay on as well as liquid liners made from wax or powder liners. Ultimately, you want a liner that is waterproof and stays on all day. Smudge-proof is difficult for certain kind of liners, such as gel and pencil liners. Wax has the ultimate staying power, but there are some liquid liners that will stay on like a sticker as well. Your best bet is to read reviews to see how well the liner remained after all day wear. There are a few different types of formulas on the market for eyeliners. The best ones for staying power include wax. However, liquid and gel liners will have rich colors and staying power as well. In terms of all-day wear, wax is probably the best because of its formula and ability to stick onto your skin, whether you have oily texture or not. If you are looking for a precision tip, then you definitely want to go with a marker brush or felt tip. While powder can work with a precision brush, you will probably have to buy the brush separately, and powder generally doesn’t work to create precision wing tip looks. In addition, the chemicals used in the formula also matter. You should look for formulas that will treat your eyes better and not cause any irritation. Some eyeliners will be tested on sensitive eyes, so if you have eyes that are easily agitated by liners, you should look for specifications on skin types that work best as well as if it works best for sensitive eyes. While it doesn’t typically matter, a good eyeliner is a good eyeliner, you do want an eyeliner that is going to last you a long time. In general, 0.04 Fl. Oz. is standard, so anything less than that should be marked down considerably. You shouldn’t pay more than $10 for a rather small liner, unless it’s superior quality. Choosing the right eyeliner will almost always depend on your own experience and skin texture. If you notice that your liner is smudging more due to folds, wrinkles, and oily skin textures, then you want something that is going to stay on all day and not smudge. The best choice here is probably the Xtreme Glideliner. 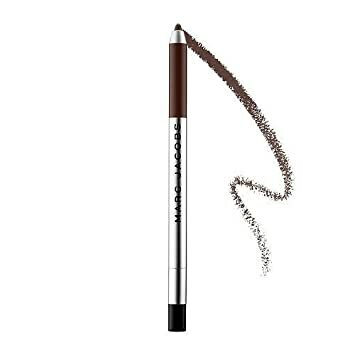 This liner offers the best precision tip and formula. You can create all types of precision looks or build upon the liner to create dramatic night looks. In addition, this formula works well for all types of eyes, including those that are sensitive or have oily skin.